Watergate Bay Hotel in Cornwall runs a series of events throughout the year to promote Watergate Bay as a unique and inspiring holiday destination. Their flagship event, Polo on the Beach, has grown in scale and quality every year since it began in 2007. The 2013 event saw two significant changes: a move from September to May, and an expanded weekend-long format. Free for spectators, Polo on the Beach 2013 was largely funded by three sponsors – Veuve Clicquot, Joules, and First Great Western – who had all increased their investment that year. 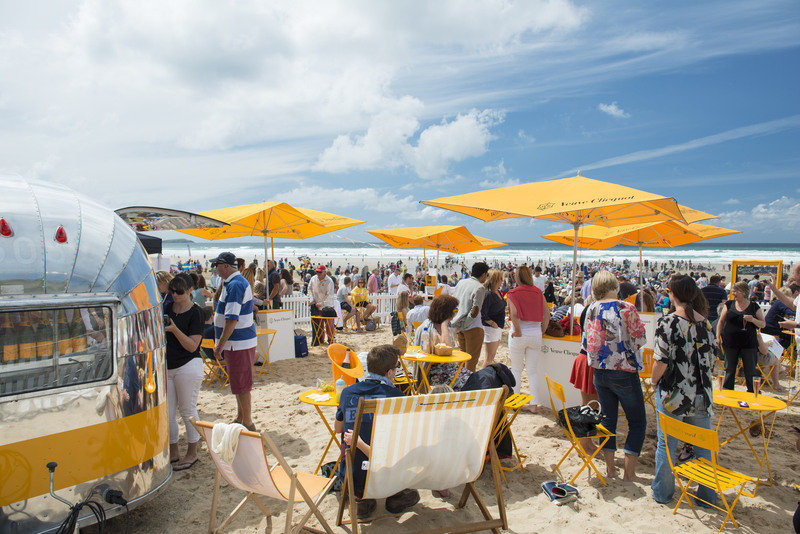 Barefoot Media worked alongside Watergate Bay’s in-house marketing team to deliver a multi-channel campaign geared towards delivering a return on investment for the event partners, and ensuring Polo on the Beach was well attended by the public. Watergate Bay wanted to increase attendance from the 2012 figures of 4,000 people, driving spend at the event’s retail and catering outlets. 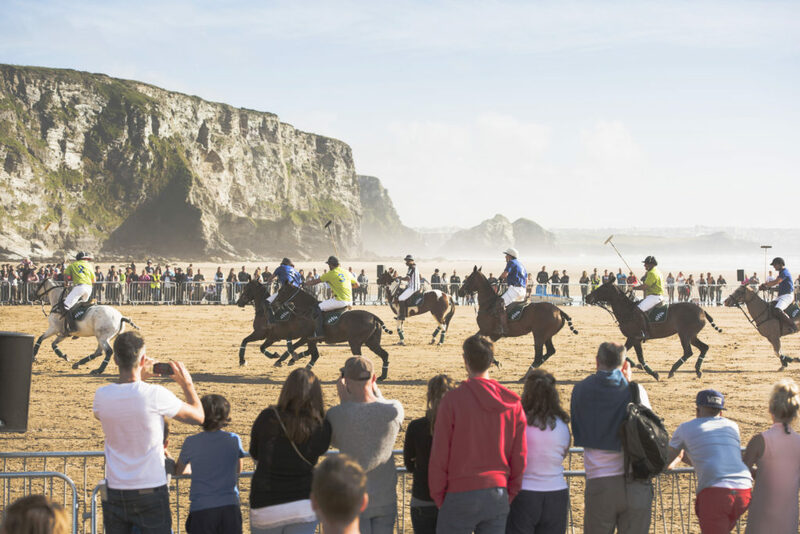 They also wanted to establish Polo on the Beach as a credible national polo event that is cemented in the Cornish event calendar as a weekend event, and deliver brand exposure for Watergate Bay Hotel as an interesting destination. The six week period prior to the event weekend of 18 and 19 May was identified as the key window to build awareness, with activity peaking in the days around the event. As a unique and very visual event, with a wealth of stunning photography and video available from previous years, creativity in the campaign came from developing engaging, shareable content seeded through earned and owned media channels. The PR campaign was timed to build throughout the six weeks pre-event, targeting travel and lifestyle media through diary date sell-ins, event previews, competitions and image-led pieces. Short-lead regional and national news media were invited to a press call, and drip fed information via press releases and a teaser video. Watergate Bay’s in-house marketing team delivered a programme of content-led activity through the creation of a dedicated polo minisite, ten blog updates, three email marketing campaigns and ongoing social media activity. This was supported by targeted print, radio and social media advertising. At the event, audience participation on social media was encouraged through regular posts and short-term competitions, promoted via commentators and in the 3,500 printed copies of the free event programme. Post-event, a review press release and photography were made available within 24 hours, and social media activity continued for ten days culminating in the release of a short film. The PR campaign achieved 85 pieces of coverage, with 32.5 million opportunities to view (OTV). 100% of coverage was positive or neutral. The press call was attended by photographers from Getty Images and the Press Association, with images syndicated internationally. The social media campaign reached over 20 million OTV. Sentiment was 100% positive or neutral, with most neutral comment being informative. A competition was launched with Vogue UK which reached over 18 million OTV and attracted 12,500 entries. 478 images were shared in the Instagram photo competition using #POTB13 between 18-24 May. The polo minisite received 59,272 page views over three months (March to May), an increase of 240% on 2012. The 2013 video was viewed over 5,000 times in two weeks. Approximately 8,000 visitors attended across the weekend in 2013 – an increase of 100% on 2012. Five key polo titles gave considerable coverage to the event and journalists from Après and Polo Times attended in person. Watergate Bay Hotel had its best ever May, beating its revenue target by 17%. Occupancy in the week of 16 May increased by 24% on the same week in 2012. The marketing and PR campaign for the event won two gold CIPR Pride Awards in 2013, and a silver in the CIM’s 2014 Travel Marketing Awards.